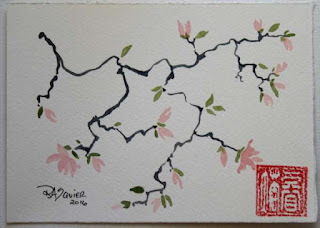 Day 26 painting is another magnolia branch. 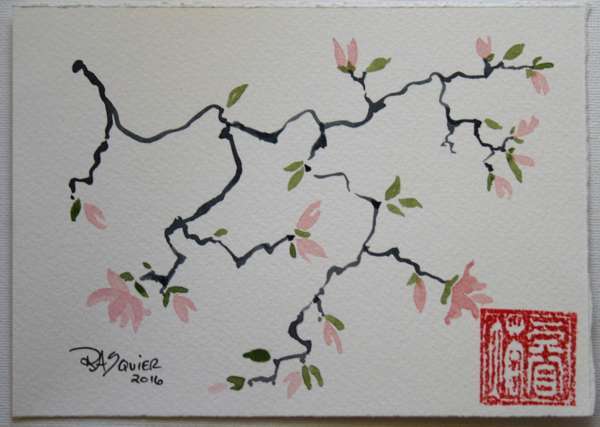 I love this style of painting and I love the magnolia tree in my backyard. I cannot wait for it to bloom each Spring. It is simply gorgeous.